We are fundraising for our legal costs for our application to review the Premises Licence issued to Live Nation (Music) UK Ltd for Wireless Festival and other events in Finsbury Park. Haringey Council and Live Nation have secured a secret deal in a private meeting to 'tweak' the new licence conditions. We are the Friends of Finsbury Park and we are fundraising for our legal costs for our application to review the Premises Licence (No. LN/000012182) issued to Live Nation (Music) UK Ltd for Wireless Festival and other events in Finsbury Park. Live Nation (Music) UK Ltd puts on a number of events in Finsbury Park including Wireless. Live Nation holds a Premises Licence from Haringey Council that allows them to do this. 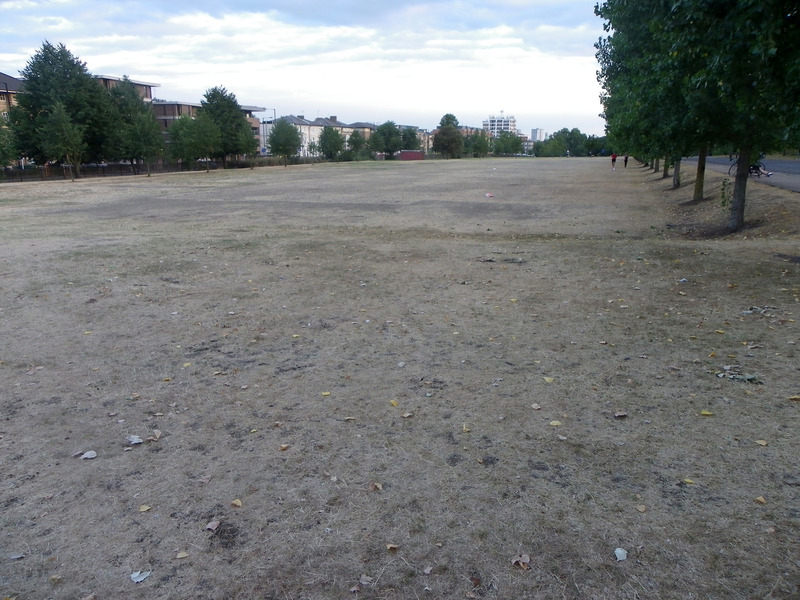 These events have left Finsbury Park in a very poor condition and caused misery to residents. The Friends of Finsbury Park are therefore applying to Haringey Council to revoke the Premises Licence on the basis that the Live Nation events have caused very serious disturbance amounting to a public nuisance and have given rise to crime and disorder. If the Licence is revoked, Live Nation will no longer be able to hold their events in Finsbury Park. If the Licence is not revoked but stringent conditions imposed, then Wireless may not be able to be held at Finsbury Park and Live Nation will be forced to find a proper and appropriate venue for this festival. In support of their case, the Friends have filed witness statements of residents of Finsbury Park setting out their experience of Wireless 2017, identifying issues such as intolerable noise at their homes, crime and anti-social behaviour including drug dealing, drug taking, aggressive behaviour, verbal abuse, intimidation, brawling, drinking in the street, public urination. As to the progress of our application, the Council advertised the Friends’ application for a licence review and asked for any representations to be made by 2nd August 2018. We have now received from the Council very many representations made by residents in support of our application together with a forthright representation from Islington Council setting out their and their residents’ concerns about Wireless. The application of the Friends of Finsbury Park for a licence review is to be heard on 15 and 16 October 2018 from 7 pm onwards by the Haringey Licensing Sub-Committee at Civic Centre, High Road, Wood Green N22 8LE. The Friends will be represented by a barrister, Charles Streeten of Francis Taylor Buildings and a noise expert Richard Vivian of Big Sky Acoustics Ltd instructed by our solicitor Susan Ring of Harrison Grant. How much are we raising and what is it for? Please donate now and help save this park! Thank you so much for all your perseverance fighting to protect our Park so that it can be used as a Park! This event destroys a once beautiful park. It's abhorrent. I will also gladly fund the ending of any circus events. The fact that we allow animal cruelty as entertainment is equally abhorrent. This is for you Sophie! Live Nation appealed against the imposition of new conditions by the Licensing Committee (LSC) in its decision of 22nd October and filed the appeal with Highbury Corner Magistrates’ Court. 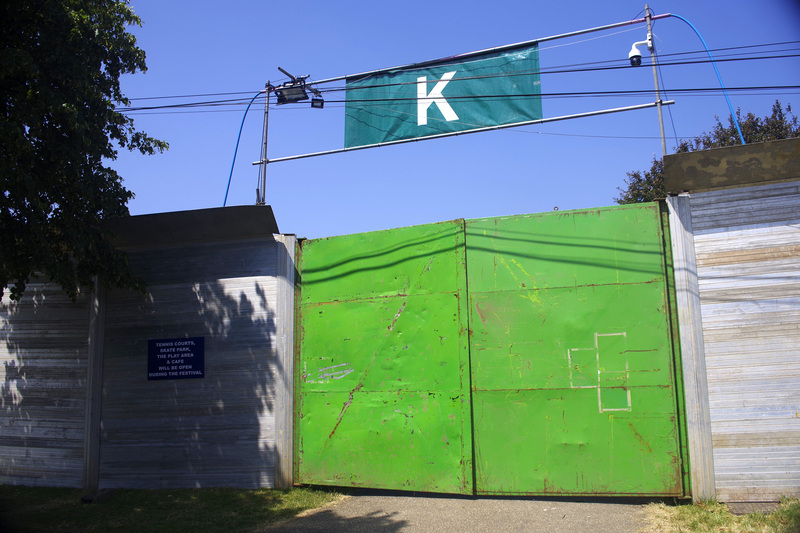 The two main grounds of appeal were against the new noise conditions imposed on the licence and the earlier closing on Sunday, which were put forward by the Friends of Finsbury Park. The directions hearing on Thursday 13 December 2018 at Highbury Corner Magistrates’ Court was adjourned to 8 January 2019. Following the lodging of the appeal, the Council engaged the services of an 'independent qualified noise consultant' to review the noise data and advise on the implications of the above noise conditions, both in terms of the effect on residents and the operation of the event. With the benefit of this review of the technical noise position, the members of the Licensing SubCommittee which took the decision have been consulted and, in conjunction with the Council’s Director of Environment and Neighbourhoods, have endorsed the revised position on Conditions 107 and 31 set out below. Neither we nor residents nor other councillors/neighbouring boroughs were consulted about this and we have not seen the noise evidence of the ‘independent qualified noise consultant’. At the directions hearing, the Council and Live Nation advised the Court that they had now come to an agreement on the appeal and invited the Court to agree to a Consent Order in which amendments to conditions 31 in respect of low frequency and 107 in respect of music sound levels were agreed; Live Nation withdrew its appeal in every other respect. The Council said that the amendments to condition 107 were in effect a tweaking by way of clarifying the intent of that condition as it relates to music levels and fully reflects the intention of the licensing sub-committee in the way it is now drafted; condition 31 was expressed in different terms but the Council maintained that it amounted to a significant reduction in low frequency noise ; the Council further asserted that they have the approval of the sub-committee chairs, the director and their own noise expert in relation to the amendments. The Friends objected to the Court making the Consent Order as they had not had an opportunity to see the Council’s advice from the ‘independent qualified noise consultant’ and asked that the appeal take place so that they could test the noise evidence including that of the so far unseen advice from the noise expert for the Council. The Court refused the Friends’ request, holding that on a brief investigation of the position the Court was satisfied that the Consent Order amending conditions 31 and 107 could properly be made in the public interest. Although deeply dissatisfied with the secret nature of the private meeting in which the noise conditions were ‘tweaked’, The Friends are very pleased that by bringing the application for a review of the Live Nation premises licence used for Wireless, some 50 new or varied conditions have been added to the licence, including for the first time a maximum noise level and a low frequency noise condition. The Friends will be asking Haringey, Islington and Hackney Council to ensure that these conditions are now complied with. A copy of the final version of the up to date Licence incorporating all the amendments and new conditions. Confirm what steps the Council is taking to update the background noise levels contained in the Table of Approved locations in Condition 106 and confirm the location in Islington that is to be used. Confirm what steps the Council is taking in liaison with Live Nation in relation to the Informative ‘to explore the options to ensure that access to the Park is optimised throughout the period of Wireless, including its build up and pull down, so that the Park can be accessed and enjoyed by all’. 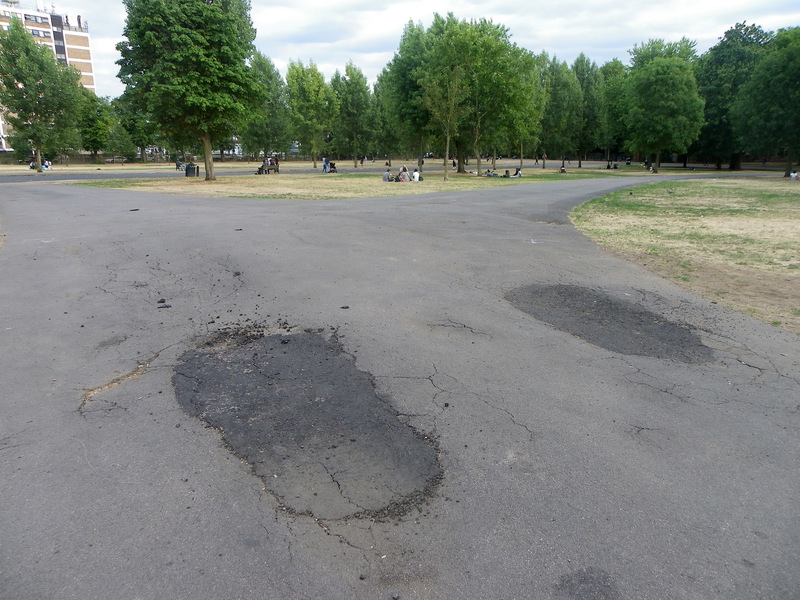 Provide details of the Licences that apply to other events in Finsbury Park. We have also asked Haringey Council to ensure all of the new licence conditions as applied by the Licensing Subcommittee and further amended at the Magistrates Court to the Live Nation licence, are consistent across all of the other licences at Finsbury Park. Currently, Haringey Council are suggesting that as the other licences were not subject to the review they are not affected by the outcome of the Live Nation review. We have yet to receive a copy of the new Live Nation premises licence and have been told that we can expect to receive it by the end of March latest! If you can, please contact your local councillors to ask them to ask Haringey Council why we haven’t got a copy of the new licence yet! Tweet about it too to spread the word. Once again thank you to all of you who donated and helped us to raise funds towards the licence review hearing and our legal team. Although even with your help, we were unable to raise the full amount, our legal team have accepted what we have managed to raise so far. The Friends of Finsbury Park have instructed Susan Ring of Harrison Grant solicitors and barrister Charles Streeten of Francis Taylor Building, and noise expert Richard Vivian of Big Sky Acoustics. The two main grounds Live Nation (Wireless) were appealing against are the new noise conditions imposed on the licence and the earlier closing on Sunday, which were put forward by the Friends of Finsbury Park. UPDATE: Live Nation Appeal the decision! We have just heard that, on the last day of the appeal window, Live Nation has now appealed against the imposition of new conditions in the decision of 22nd October and has, we understand, filed the appeal with Highbury Corner Magistrates’ Court. However, Live Nation has not yet served the Friends with the appeal papers despite request. The Friends are dismayed that big business in the form of Live Nation has decided to attempt to overturn the decision of democratically elected councillors who heard evidence from local residents and councillors from 3 boroughs over the course of two evenings at Haringey Town Hall and were evidently persuaded that Live Nation has been causing a public nuisance. Haringey Council must now defend the decision by the LSC to impose new conditions on the licence. We are still waiting to hear what the Council intend to do and will update you as soon as we have more information. Thanks to your help we have now raised £7000, but we still need to raise more in order to pay for our legal costs of taking part in Live Nation’s appeal in the Magistrates’ Court. Licence Hearing Decision: New Noise Conditions Imposed! We are very pleased that the committee has taken into consideration the testimony of our witnesses and noise expert on the excessive and invasive noise that is produced by the festival and agreed with the Friends’ case that loud music from Wireless, including bass level noise, has caused a public nuisance. We therefore welcome the decision of the committee to incorporate our proposed noise limits and noise monitoring conditions [see decision Letter para 47]. We are also pleased that the event will finish earlier on a Sunday, as we had suggested. However, several of our proposed licensing conditions have been disregarded by the committee, of which the most important is our request to reduce the number of attendees at the event. Even with improved management of the festival, it is simply not possible to reduce the excessive level of public nuisance caused by a festival and the impact it has on the park without reducing the number of attendees below the current limit of 50,000. The Friends decided not to appeal the decision of the LSC. Imposing the maximum noise level sought by the Friends [para 53 – amendment to condition 107]. LSC is concerned about the length of build up and take down of Wireless and asks for this to be addressed. Although a very important breakthrough for the peace and quiet of local residents, the new noise conditions have not been widely reported. Focus has been set mainly on a pre-existing condition, already in the licence [no.51] that the licensee (i.e. Live Nation) shall reasonably request that performers do not sing or play any 'vulgar, obscene or banned' songs and shall ensure that 'attire' of performers do not offend the public., about artists not swearing or wearing clothing that might offend.